Implementing a successful customer experience strategy can help your business achieve a wide range of goals; including increased customer satisfaction rates, reduced turnover, and increased profit. What’s more, when customers have a positive experience with your company they are more likely to tell others about your business. With so many options for goods and services available, customers are actively seeking out positive customer experiences to help them make purchasing decisions. According to research, up to 81% of customers are actually willing to pay a little more for goods and services that offer a better overall customer experience. So how can you ensure you provide your customers with a great experience? Appointment scheduling software can help you achieve your goals of providing a great customer experience. Keep reading to find out how appointment booking software can help you transform the experience of your customers. Let’s face it, no one likes to wait. What’s more, long frustrating wait times can quickly lead to dissatisfied customers. Appointment scheduling software can help you improve customer flow and that can increase customer satisfaction by up to 20%. QLess appointment booking software uses a virtual queue that allows the customer to check-in on your website, using a mobile device or at an on-site kiosk. What’s more, customers receive an estimated wait time when they check in. Our queue management system features intelligent algorithms to process customers upon check-in and deliver accurate wait times. When it’s easy for customers to check-in, when they get accurate wait times, and when they get regular communication on their status, customers feel less anxious and more satisfied with the overall experience. One of the most frustrating aspects of waiting in line is the uncertainty. Sure, you may have a number but do you really know when your number will be called. Uncertainty can quickly lead to dissatisfaction. QLess appointment scheduling software offers bi-directional communication between your customers and your staff. This helps eliminate uncertainty by offering timely updates, valuable communication, and accurate wait times. What’s more, customers that are waiting can ensure they have proper documentation or any other items they may need to complete their transaction. We all know the feeling of waiting in a long line only to find out we need a different form or were waiting in the wrong queue. Timely communication and updates help to reduce uncertainty, anxiety, and dissatisfaction. One of the key ways that appointment scheduling software improves customer experience is how easy it is to use. Customers are able to self check-in from the most convenient location for them. They can check in online, from the app, from a smart device, or in person using an on-site kiosk. They can even leave a voice message or check in with a representative in your location. This gives you and your customers a wide range of options to check-in. That’s not all. Customers can download the QLess app. Our app delivers real-time wait information and other valuable data customers can use to improve their overall experience. Customers can even ask for more wait time, request status updates, and even leave the line all from the app or through text message. Our appointment booking software is incredibly easy for your customers to use and that helps you improve overall customer experience—but it’s also easy for you to use too. The QLess queue management system makes it easy to track, manage, and learn from every customer interaction. Our calendar feature gives you a holistic view of every appointment, whether scheduled or not. You can filter through appointments by date, location, line, and much more. This helps you manage your resources according to need and helps you improve customer flow and experience. Our Dashboard feature gives you real-time data so you know exactly what’s happening at all your locations or even individual queues. Our command center allows you to configure your account to meet the needs of your business and your customer. You can even manage voice and SMS messaging by transaction type, department, and more. Finally, our tracking and reporting feature gives you access to all your data. This gives you detailed insight into no-shows, wait times, outcomes, transaction types, and much more. This data can help you identify areas that are working as well as areas that need attention—helping you properly allocate resources to maximizes positive customer experience. Our appointment scheduling software does so much more than simply help you schedule appointments—it can even help you deliver customized marketing. Every customer interaction is an opportunity to learn. The data collected in our tracking and reporting feature can give you valuable insights into the habits and patterns of your customers. Learning the patterns and habits of your customers allows you to create focused marketing that anticipates the needs of your clientele. You can even market items and specials to people when they’re checked into a virtual line. These days more and more people are researching and shopping for goods and services online. While online shopping is incredibly convenient, it still can’t beat the service and physicality of brick and mortar shopping. 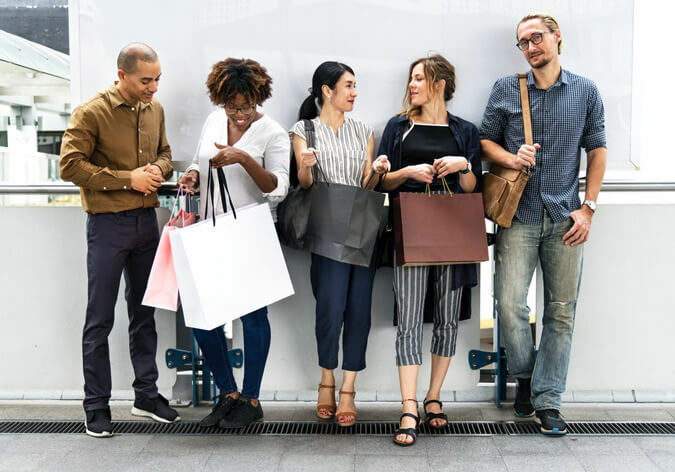 Give your customers the ease and convenience of digital shopping with all the real-life benefits of shopping in a store. 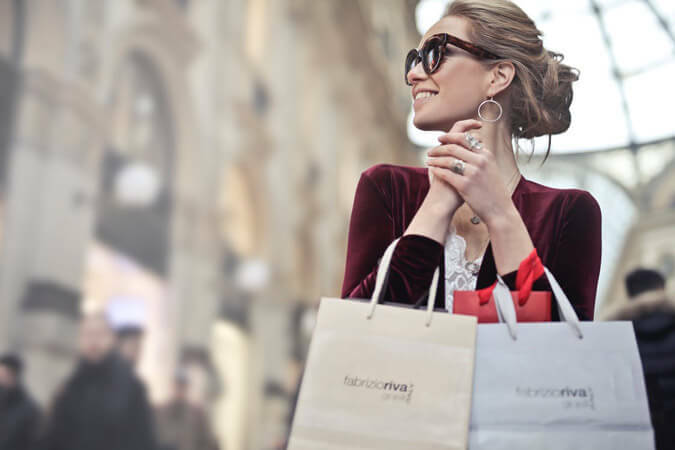 Our appointment scheduling software for retail allows you to deliver a positive customer experience that blends online convenience with real-world service. QLess scheduling software can help your business create a positive, immersive customer experience your clients will love. QLess can help you streamline customer flow, increase communication, track customer satisfaction, gain access to valuable customer behavioral data, and implement a strategy for positive customer experience. Request your free appointment scheduling software demo today to see what QLess can do for you!